‘Tis the season for sharing, giving…and FOOD! We’re well into December by now and it’s just 20 days ’til Christmas. If you’re still racking your brains for some gift ideas (yes, gifts for yourself are allowed. :D), food is never a bad place to look. From the holiday hams to the Chinese New Year-themed tikoy, there’s bound to be one to suit your needs. Of course, sweets are always part of the consideration. 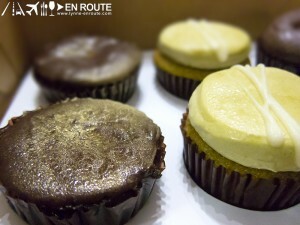 Other cupcakes I’ve tried include the Red Velvet, the Diplomat (which uses Valrhona chocolate), Green Tea. All equally yummy and mouth-watering. Look them up on their blog: thespoonisflat.com or Facebook Page. The Cupcake Boutique also has their own Facebook Page you can check out. Other contact details I was able to find online are: +63 917 533 5527 and klarjo@gmail.com. 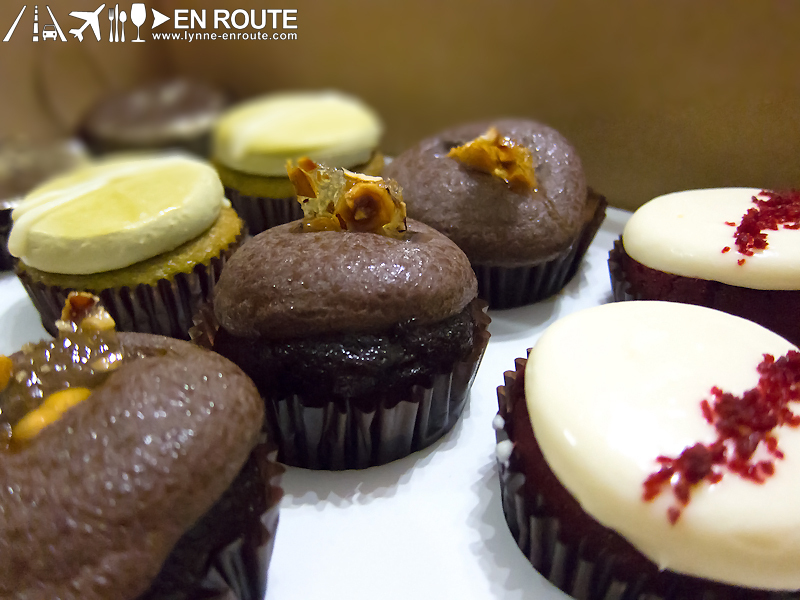 If the number of cupcakes I ate from that box was any indication, it’s pretty obvious it was really yummy! Hehehe. If I may make a suggestion…go for the Chocotella and the Green tea because they seem more unique than the red velvets of this world. 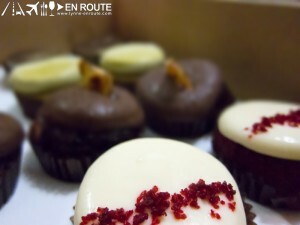 Although their red velvet is pretty darn good too!